The proposal addresses the pressing issue of global food security .Imports are almost the only source of food supply to Singapore which represents aprox. 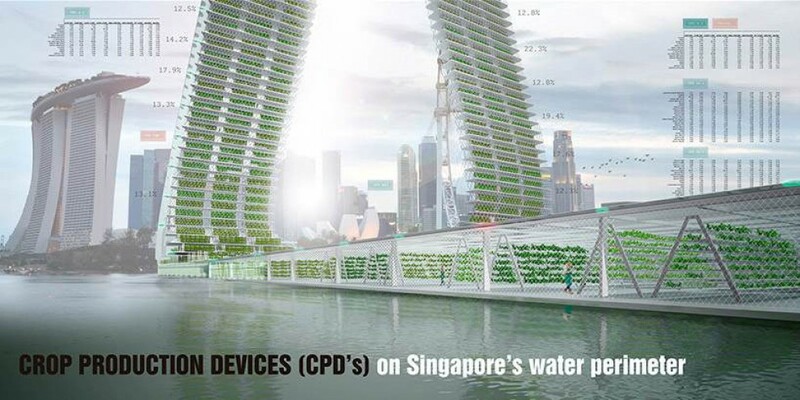 the 90% .Singapore limited land availability(land scarce) ,a dense nation,land premium prices and fast growing are some issues which led us to propose Singapore as a testing spot for Floating Responsive Agriculture, aka “F.R.A”. 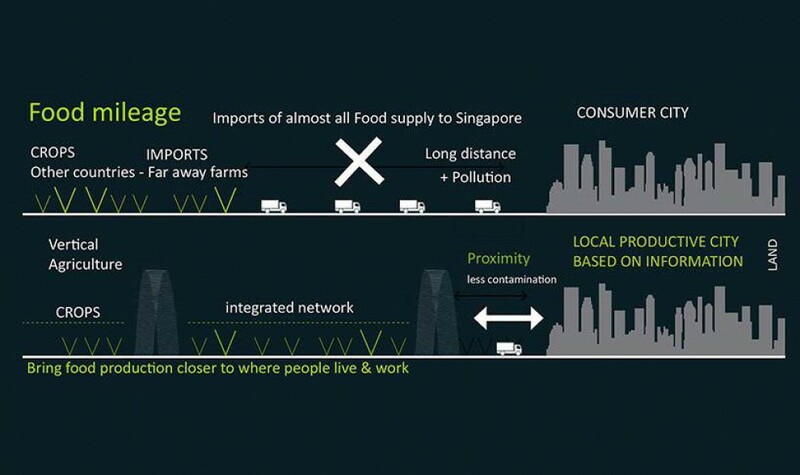 Inspired by Singapore’s Floating Fish Farms of Jurong’s Fishery Port, we aim to create a territorial network of Vertical infrastructures located close to the city areas which can produce local quality controlled food based on the cities real-time Food consumption data analisys.We propose a change from a consumer-Importer city to a Self-Productive City.We aim to Integrate technology and internet protocols with food consumption to produce exactly the amount and type of crops people need, also reducing food waste.The information layer system will inform a series of CPD’s(crop Production Devices) localized on Singapore’s water perimeter about the food supply demands according to established protocols and logics.